1. Pack snacks & drinks! These help pass the time on car trips but also are helpful to have at the hotel to save money on eating out. With my picky eaters, we need to have some familiar snacks from home on hand. 2. Make a detailed packing list. This goes without saying for me. I need a list to follow so I can check off the items I’ve packed as I go along. 3. Pack paper goods. We always find ourselves needing paper towels and tissues on the road. I recall one trip when my older son threw up in the car and we were very glad to have paper towels! 4. Research your destination before you leave home. I know some people can just wing it, but I can’t! I need to have an idea of the local attractions, restaurants, and things to do nearby. 5. Pack antibacterial wipes/spray/hand sanitizer. The germaphobe in me needs these things on any trip, near or far! 6. Pack items to entertain the kids. Games, puzzles, crayons, and coloring books are must-haves. A DVD player and movies are also great to have. My kids enjoy handheld games like the Leapster and Mobigo. 7. Bring your GPS. Gone are the days of wrinkled road maps that I can’t fold back into their original form. A GPS is a handy tool on the road. 8. Look up deals/coupons on the Internet before you go. I know that Disney has forums where travelers discuss ways to save money at the theme parks. The site Retailmenot.com lists retailer coupons. 9. Bring the Powermat! You can charge your cell phone, iPod, e-books, GPS, and handheld games all in one place! 10. Relax and have fun! Family vacations make for long-lasting memories you will cherish forever, so enjoy. When we received the Powermat, my husband’s face lit up. He was thrilled to have one place to charge all of his devices. The included carrying case was a nice surprise, too. He was impressed, and he’s a techie, so I KNOW this would be a wonderful item to have in any household. It makes a great gift as well. GIVEAWAY: Powermat has generously offered a Powermat of the winner’s choosing plus one additional accessory. * For one additional entry, “Like” Powermat on Facebook and type the following message on your own Facebook status: “I am a #Powermatfan and entered to win a Powermat at https://grandgiveaways.wordpress.com&#8221;. * For one other extra entry, follow Powermat on Twitter and tweet “I entered to win the @Powermat at https://grandgiveaways.wordpress.com&#8221;. Share the link to your tweet timestamp. The giveaway entry period will end at 6:00 pm EST on August 6th. I will use Random.org to select a winner. Open to US residents only. Disclosure: M80 provided Powermat products to me at no cost for the purposes of this review. I received no other compensation. The opinions above are my own. Update 9:00 am 7/29/10: After posting this giveaway, Powermat indicated to me that they no longer wanted comments on their Facebook wall about giveaways, so I had to change the bonus entry. Instead of writing on the Powermat wall, the bonus entry will be for posting the giveaway on your own Facebook status. Those that wrote on the Powermat Facebook wall still get credit for doing so. So sorry for having to change the rules when the contest is already underway! 128 responses to this post. Email subscriber & I would love this, so easy to use it would really save time! email subscriber. we have little ones that are always pulling on cords. I love that this is cordless. There would definately be less accidents around our house. follow powermat on twitter and tweeeted. fb fan of powermat and left a comment on their wall. amy bolda pugmire. I’m an email subscriber, and I’d love to get this for my hubby! He’s a tech geek as well, and would love to charge his million phones and gadgets in one place! Email subscriber! Powermat would be awesome between 3 iphones/ipods and 2 ipads in the house, perfect addition to our electronic stash! Hubby is always “reminding” me to charge my cell phone…. and I always forget. With the Powermat, I think I would actually remember to do that — so easy, quick and no searching for the attachment to charge the phone! I also think it would be great on trips so that we don’t have to carry multiple attachements! I would love to win the Powermat because I am always in the red on my phone. We have several chargers in the house and in the car, however, with so many apps and games for my toddlers the battery is always getting drained. 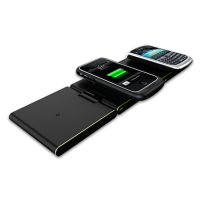 If I had the powermat, I could charge up on the go…anywhere. When you are busy, on the go and have 4 kids, you need all of the conveniences you can find. This would make my life much easier when it comes to my hand held life line! I am following powermat on Twitter and tweeted I entered to win the @Powermat at https://grandgiveaways.wordpress.com… I have no idea how to post a time stamp link…my twitter name is MochaMom04. I would LOVE to win the Powermat. I never knew such a device even existed but with 5 kids and a ton of cell phones, cameras, iPods and every other electronic device….the Powermat could truly save the day on road trips for our family! I’m a confirmed subscriber and this would be great for us because we constantly have a jumbled mess of cords to charge all the cell phones, ipods, etc. Thanks. I am a subscriber. The Powermat would help me keep my devices charged up and organized. I love gadgets, and this one looks like a great one to have. Gadgets seriously make me smile! We are always looking for the different chargers all over the house. It would be nice to have one designated place! I’m a subscriber. I need Powermat because it will keep my wife from tangling up our charger cords into little knots. That would make life easier. I’m an email subscriber and the Powermat would help eliminate trying to keep up with this charger for this phone and that charger for that one. Yikes! Im an email subscriber and the powermat would be perfect for my house. We have 3 cats which are always unplugging cords by tripping on them and with this, there will be a lot less cords to unplug. Yay! Posted message on my facebook page. Following Powermat on twitter (csaulpaugh89) and tweeted. I am a new confirmed subscriber! I know Powermat will make my like easier because I am so tired of having to unplug different devices so I can charge other ones or needing a bulky ugly power strip, and even then I sometimes have to change in and out. I also am the worse person with chargers and cords, I tend to lose them, I need Powermat to help simplify my life and make it organized and sleek! My devices need to be classy! I follow Powermat on twitter and tweeted about giveaway! as @luckysluna. “I entered to win the @Powermat at https://grandgiveaways.wordpress.com”. I’m a blog email subscriber. The Powermat would make life easier at home as my wife and I both carry personal and work cell phones. Being able to drop even a couple of them onto the charger would be great. I’m an email subscriber and I’d like to win this because I think it would be convenient to be able to charge more than one item at a time using this power mat. Cuts down on having to use several plugs! Hello! I’m a confirmed email subscriber. Thanks so much for the chance! 🙂 Having a Powermat would make my life simpler because my current main computer is a netbook, so I don’t always have it plugged into the wall and if I charge my iPod Touch (which I couldn’t live without) – it drains the battery on my netbook so much that I don’t have enough battery power to do what I need to do without being tethered to an outlet so much. It would be so nice to have this for my iPod. I subscribe VIA Email. The Powermat would make my life easier not just because of the cord issue, but because it would force me to have one dedicated place to charge my phone and other devices. The cords for the phones get moved all over the house and I waste a ton of time just trying to track one down. I am SO tired of looking around for outlets for all of my devices! I end up having to charge my gadgets in several different rooms. The Powermat would end all of that — I could charge everything in just ONE place! Also, I subscribe to your blog feed via email. Thanks! this would be a great thing to have in our house where we have 3 diff phones. Email subscriber. I think Powermat would make my life easier by allowing me to charge several devices at one time and by having a designated area to charge everything. I follow Powermat and tweeted. and posted comment on my page. this would be so handy with 3 boys and 1 husband – phones and ipods! I am tired of looking at all the wires hanging on my desk. cell phones, bluetooth headsets, mp3 player, ipod. This would neaten up my desk. Someone’s DS is always on red or completely out of power, especially on road trips. This would make charging much easier. It would give me a good excuse to demand phones at 9:00 so that the kids will not stay up all night texting. I subscribe by email. I would love the powermat because it would cut down on having to search for chargers for everything and having a ton of cords lying around. I like the powermat because right now every morning I wrestle (slight exaggeration) with cords on my personal iPhone and my company blackberry. This will free me from those cords that bind. bring a million different power cords; and I HATE clutter so this would eliminate all of the cords on the kitchen counter that are always getting tangled and/or pulled on by a curious toddler. This would make my life easier because, I can have all my gadgets in one place. I follow powermat on twitter! Subscriber, This is would not only make my life easier but also less expensive. I have three children and they all have gadgets. Of course these gadgets all take different size batterys. So my days off are spent running around buying batterys and than trying to get them into these gadgets of hidden compartments. I am a subscriber and I know that the Powermat would be helpful to me because I have two teenage sons with every tech gadget known to man and they are plugged in to every available outlet! I need to charge my cell phone! Help! Email subscriber & I would love this, it’s so easy to use it and I can have all my gadgets in one place. I’m a subscriber, I would love to win this because it would make the house look so much neater without all of the cords lying about, thanks for the chance! I’m a subscriber. This would make my life easier because I won’t have to battle so hard to remember to individually charge things, dealing with a lack of plugins, etc. I posted this giveaway on my facebook status! I am a follower of Powermat on twitter and tweeted this! I subscribe to grandgiveaways, this futuristic equipment doesn’t need to be plugged in & has automatic shut off, great give. Powermat looks like a great product. Just imagine, I could charge my cellphone and my ipod touch without having to find their cords. Right now I’m very good at just putting them down on the hutch or the countertop…. not so good at actually plugging them in!!! email sub & a Powermat would help me buy having my devices always charged & ready to go no more dead phone or camera or DS game player YEAH!!!! i am an email subscriber and i think powermat would make my life easier because i could have my phones all in one spot. I am a subscriber. This would make my life easier because with all of my children’s devices and my personal and work devices that need charging daily I don’t have enough space to charge all of them. Something always get left uncharged, either for my work or for my children. This doesn’t make a happy camper. We have three cell phone users in the family with multiple handheld devices, and it seems like I’m always herding kids in the door or out to the car or running errands, and life can be a BLUR! One centralized area to charge and FIND those items is a great idea, and would definitely make my life as Super Mom much easier! I subscribe, this would make my life easier because the whole family would be able to charge our cell phone and know where they are at. I have been trying to win a Powermat. With a family of five, three of which have cell phones and a couple of DS’s floating around. We have a hard time finding open plugs to charge all of these things. I would love to become an even more wireless home!!! The Powermat would make my life easier because right now, I have the bad habit of putting all of my chargers and cords together in the same drawer – mostly because I take them all with me when I travel – and they inevitably get tangled up in one big jumbled mess. They also all look frustratingly similar to each other, so it’s always a time-consuming task to figure out which of the ten cords and chargers is the one I want. It would be a great relief to have a one-stop shop for charging my devices! Note: I didn’t see the update on the post until after I had posted a comment on Powermat’s wall. I removed my comment and updated my status instead, so please delete my previous comment. Thanks! I subscribed. The Powermat would make my life easier, because both my husband and I have lots of devices that we have to charge. The cords become a tangled spiderweb and my cats end up playing with them. I subscribe. I think the Powermat would make life easier as it would be easier to remember to re-charge by seeing the mat. I am a subscriber! I would love this cause I always want every new tech savy thing that is out and me and my boyfriend wouldn’t have to bother each other to borrow the others charger when one of us can’t find ours (since our phones use the same charger). Plus I think it’s just the coolest thing ever. confirmed email subscriber. We are a family of five we all have cell phones, and ipods. Our home is a multilevel house and when we need to charge our phones or ipods we are constantly running up and down the stairs. Although it is great for our cardio, it is a royal pain in the b**t to have to go all the way to the third floor to grab my charger or to get in bed only to realize that I’ve left my charger downstairs! This powermat would be a saver for us!!! wonderful invention! I am following on twitter and tweeted about the sweeps but I have no clue how to share the link of my tweet. Can someone please tell me what to do? Charging everything in one place would make things much easier. I think that Powermat would make my life easier because I could charge my iPod and cell phone at the same time. Plus, I wouldn’t forget to charge them. I am a subscriber! I think it would be great to be able to charge all of my devices in one place, not only to eliminate the cord clutter but so often theres something that I forget to charge, which you don’t realize til you need it, so I think having it all in one convenient location will prevent that from happening so much! Thanks for the chance to win this!